TalkUp is a weekly video edition with interviews of the Caribbean population in South Florida about trending topics that affect our community. 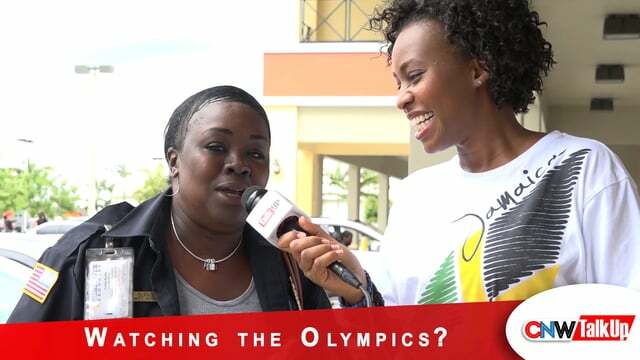 TalkUp: What do you enjoy most about the Olympics? TalkUp: What are your thoughts on the DNC? TalkUp: How can we fix race relations? TalkUp: Has Hillary’s emails impacted her campaign? Talkup: Janet Jackson pregnant at 50? TalkUp: Are parents to blame in Gorilla incident at the Zoo? TalkUp: Do you know the National Anthem? TalkUp: Is smoking marijuana a sin? TalkUp: Do you believe in ghosts? TalkUp: Should men pay on dates? TalkUp: What does Prince mean to you? TalkUp: Who would you vote for President? TalkUp: Should teachers wear body cameras?